Glengoyne 15yo (43.0%): Glengoyne distillery is located in Southern Highlands just 14 miles north of Glasgow and pretty easy to reach even with public transportation from the city. It is the most southerly Highland distillery on the map. If everything goes like planned I am hoping to visit the distillery on my way to Campbeltown this June and I am pretty excited about this visit... 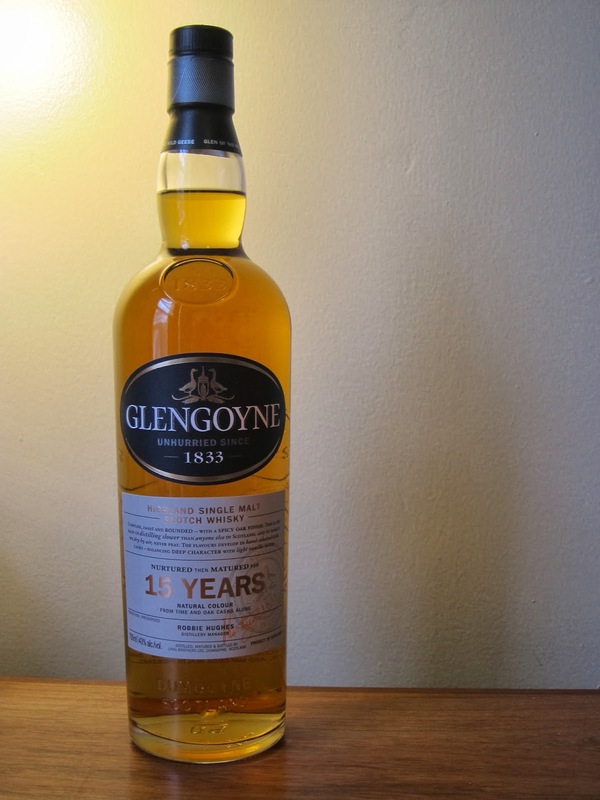 I reviewed a few other Glengoyne releases on tire-bouchon before, including one of my all time favorites Oslo Whisky Festival 2008 bottling. This time I have a distillery release 15 year old expression on the table. Here we go... Color: Dark amber, clover honey. Nose: Unripe peach slices and New York diner style lemon meringue pie. Bowl of cereal with thin honey syrup, candied lemon zest and dried apricots. Water brings even sweeter aromas: red gummy bears and moist fruit cake. Palate: Ground cloves, cinnamon and oatmeal cookies. Garam masala, salted caramel, baked bananas and apricot danish. There are a lot of notes on the palate competing each other but none of them scream out loud. Everything seems to be in harmony. A few drops of water elevated the amount of the salt which I really enjoyed and also added anise and polished hard wood notes. Finish: Long with nutmeg, green pepper corns, cinnamon and lavender. Overall: I will be honest: I was a little afraid to taste a dram buried in heavy sherry notes but this liquid is way more layered and subtle. Sherry influence is there but not covering the core of the juice. I personally liked also how approachable and easy to drink it is. I have to say with every expression I taste, Glengoyne is growing in me. I like the spirit a lot but I wish they focused more in ex-bourbon barrel maturation.